In one of the closest races in recent times, AS Central Sport claimed the 2017/18 Ligue 1 title in Tahiti at the weekend on the 27th and final day of the season. 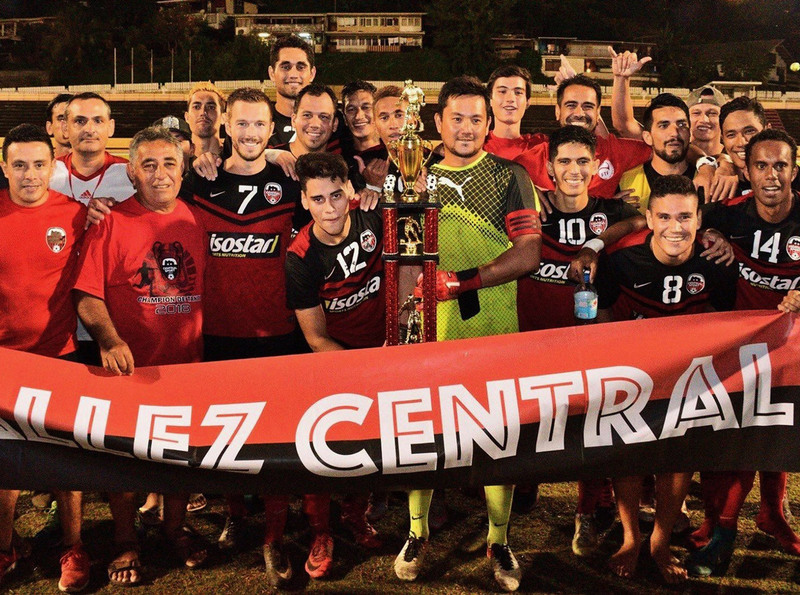 It’s the first time in 33 years that the club has been crowned league champions and is reward for a consistent season which has also earned them a return to the OFC Champions League in 2019. The final match for Central was against Tahiti’s U-19 squad which they won 6-0 to see them move onto 92 points and secure the title. With Tefana on 88 points, even a win wouldn’t be enough for them to leapfrog the leaders but to keep AS Dragon at bay, they needed to put in a big defence effort against them on the final day, which they did to secure second in the league and the second spot in the OFC Champions League 2019. Former Central player, now coach, Efrain Araneda said it’s been a tough year for his side as they’ve rebuilt the team . “In the beginning it was hard to take on the responsibility of coach but with the support of the senior players, I accepted the challenge,” Araneda said. “Then our president recruited some great players like Sylvain Graglia, the brothers Enzo and Nathan Tehau, Jess Horoi, Nico Vallar, Tehei Ludivon, and a player I found in Ligue 2 Heinui Kwong, who brought a lot to the team. “The difference this year has also been thanks to our mentality in each match, we were in front from the beginning to the end of the championship. For Central captain Matatia Paama the title is a perfect reward for the work of the team over the past year. “Thirty-three years the club has been waiting on this, it’s a lot. There are players in our group who have never been champions, so this title will mean a lot for them, and for our families,” Paama said. “We haven’t given anything up since the beginning of the year. The coach told us, at the beginning of the league, that with this team we can go out and earn the title. To claim second place and with it a return to the OFC Champions League after a year-long hiatus is pleasing for Tefana coach Sebastien Labayen. “We’ll give it two weeks before we start working on preparing for the next step, knowing that it will be the most important and most interesting of the season to prepare, and that will motivate the players,” Labayen said.